Storage starts from 1 TB in the Backup Plus Slim and Ultra Touch models, right up to a whopping 4 TB in the Seagate Backup Plus Portable Drive range. This is twice the capacity of comparable drives on the market! That’s a lot of storage. However, in today’s world where we have all sorts of files across all sorts of devices, we need it. Obviously, all that storage capacity is worthless if it’s not backed up by the latest security. 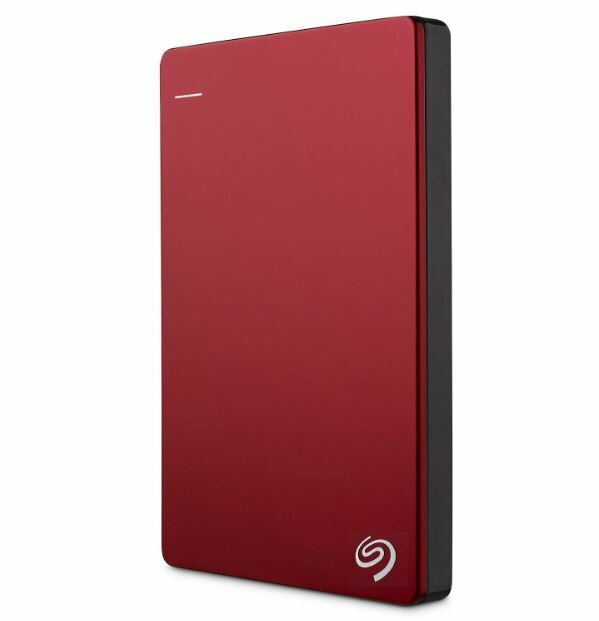 Seagate’s Backup Plus hard drives exceed most security requirements to keep your file folders in good, and safe, hands. Seagate’s trusted reliability is coupled with password protection through hardware encryption. This is the same standard used by the U.S. government and global intelligence agencies. You don’t get much more secure than that. When it is time to back up, these Backup Plus drives offer software tools that make the process fast and simple. For example, you can back up on demand with just one click. You can choose to automatically back up on an hourly, daily, weekly, or monthly basis, while mirror folders allow for seamless file management. This easy operation is a hallmark of Seagate Backup Plus drives, which is also illustrated by the versatility of the interface compatibilities. The external hard drives can work in conjunction with the latest USB-C laptops through to legacy USB 3.0/2.0 computers. Furthermore, they all work with Windows and Mac straight out of the box.